Chris: The beloved NBA commissioner is fortunate enough to have been born with a surname that can also be used as an adjective or adverb to describe himself. Considering Commissar Stern recently fined a team that has won four championships in the past 14 seasons (and who have one of the best records this season) for resting four starters, David could not have a more appropriate last name, unless he was born into the Moist Family. Joe: Coach Popo was giving his players a well-deserved rest after a grueling 14 games, mostly on the road. (Is the commissioner in charge of scheduling, too?). Hats off to Popo. Ralphie: He's the commissioner, so I guess he can do whatever he wants. Brad: I think it was justified, because to me holding the starters back seems to cross the line of cheating. I think you need to have some sort of rotation, but to intentionally stack the deck in your favor, even if it is just a little, doesn't make for a good game. Joe: All these commissioners think that they are judge, jury, executioner, appeals tribunal and any other title that augments their egos. The system doesn't work that way, but you can't tell them. Ralphie: The players have to rest, so I understand. It was disappointing for the fans, though. Brad: It's a hard call, because the team would be nowhere without their fans, so the fans should get a great game. But at the same time, the coach should be doing what is best for the team, so long as it doesn't involve cheating. Joe: Television and the league don't make a team a champion. Good coaching, by maneuvering player talent, rest and doing what's best for the team, gets you to the playoffs. Brad: I don't know that the fact that it was a televised game has anything to do with it. A game is a game, and all games have fans there, so it should have been played accordingly. Ralphie: I can understand resting overworked players, but not four starters. The league should probably take a look at schedules to make sure that no team is playing lots of games in a very short time. Chris: Had the four starters played against the Heat, even if the Spurs would have won, they would have been further exhausted against Memphis two nights later. And seeing as how the Grizzlies are in the same conference as the Spurs and competing for playoff seeding, the Memphis game was more important to win than the Miami game. Although, if Pete Rose, Tim Donaghy or the 1919 Chicago White Sox were seen near the Spurs’ bench, I stand corrected and offer my sincere apology to Father Stern. Though, I’m actually sitting now. 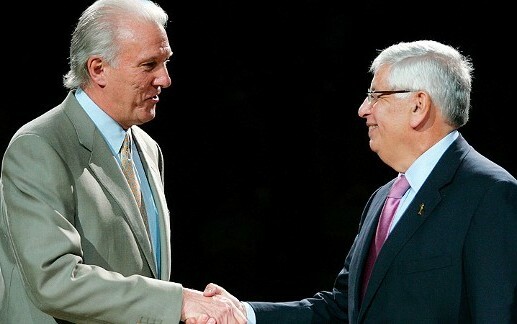 Joe: The Spurs, or any team, should always give their best to excel and that is home and away. By the way, the game itself that night was exciting, and Heat barely won but not on the betting side (13.5 spread - 4-point win). Brad: Let's give Popovich the benefit of the doubt and assume he was giving them the rest they needed. Ralphie: I guess it comes down to what is best for the team. Rest will probably help them play better and win more. The fans will be happy with more wins, so they may have to understand that the players need rest. Chris: I would have offered to pay the fine His Majesty levied on the Spurs, in order to show my support for Coach Popovich and the Coyote, but the amount was over six times what I make in a year.